So your little girl, or another little girl that you know, has an interest for the pink color and likes horses. A great present for them then would have to be a horse toy. These toys provide a creative fun time, as even to the point where they spend the entire day playing around with their toys. 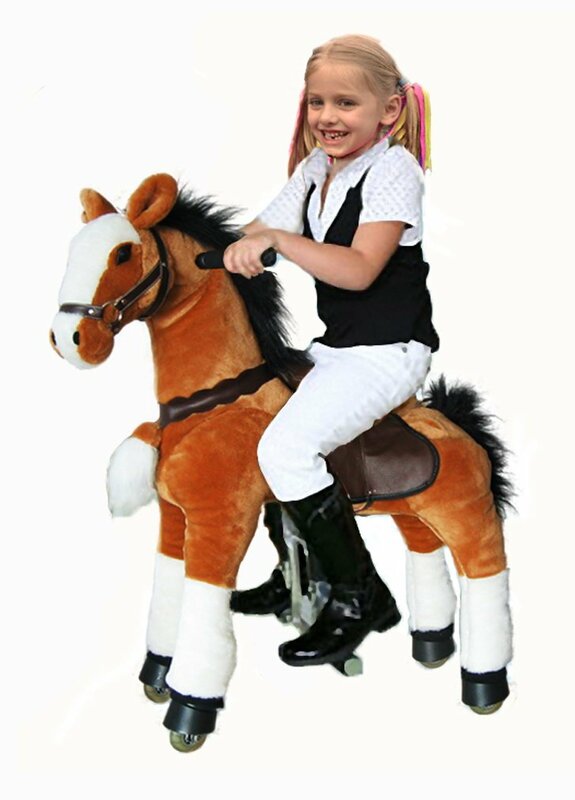 So, if the kid is investing a bit too much of her energy and time running in the house, then a riding equine toy could be the best response to get her up and playing. There are several different designs to select from too. Of course, there is the traditional pink wood shaped nicely for the girls who like bright and light toys. There are also some plushy horse riding toys available as well. A few of these trendy horse toys fro girls also have their own audio features to enrich the playing experience of the children. 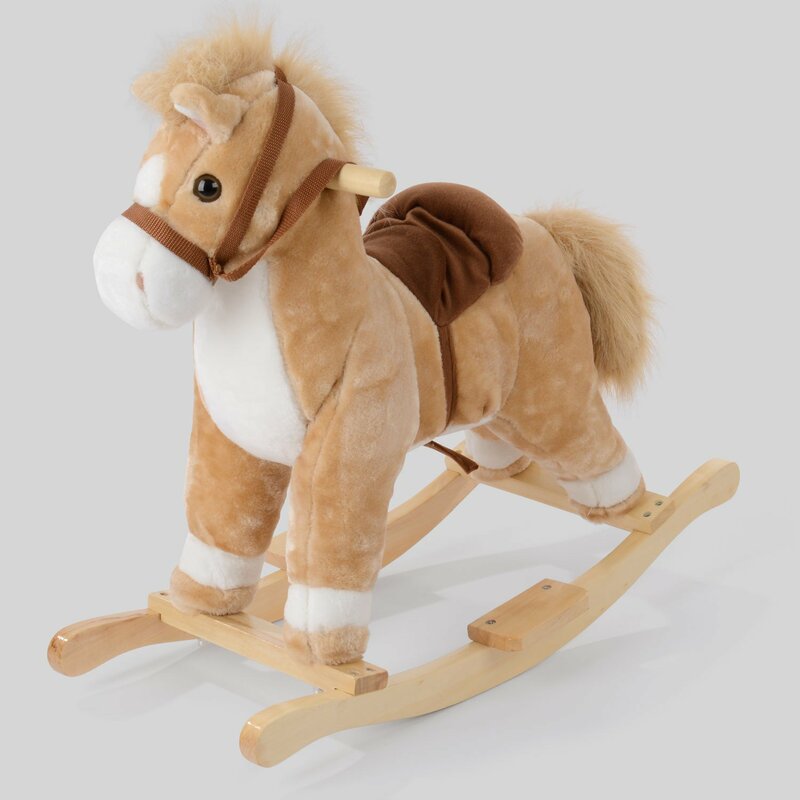 Here are the best rocking horse toys for girls. This magnificently designed darkish horse with white spot measuring 68 cm has long black tail and hair that feel just like genuine horsehair. It also has Jolly Ride stitched rosette. The extremely soft fur and smooth cushioned body make the toy feel like real horse. The comfy and smooth cushioned, suede seat and reins have included several metal stirrups and its wood-made hand holds for security. 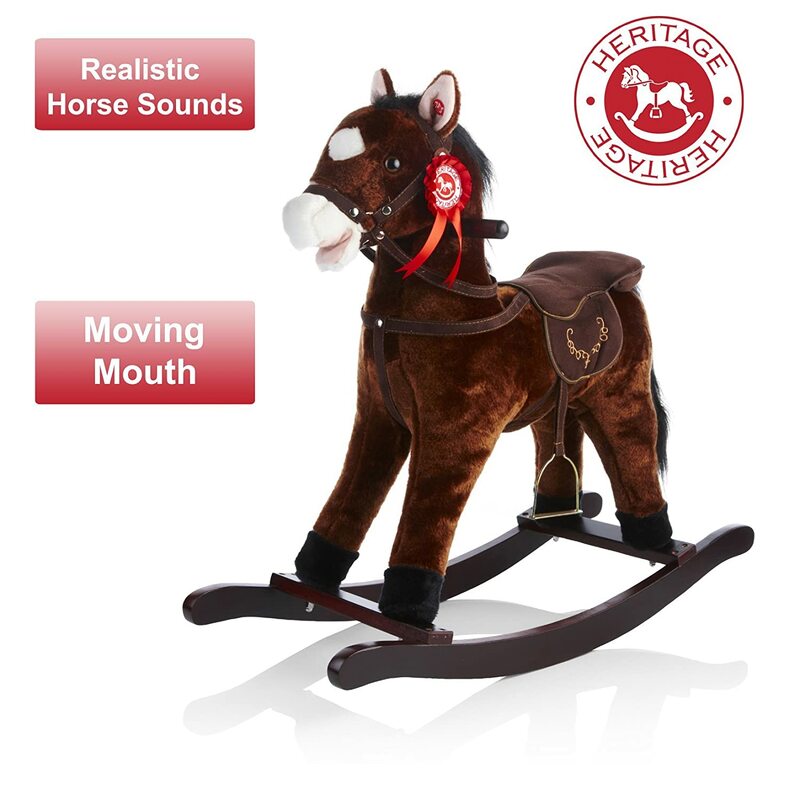 The toy produces real horse sounds to be and a moving mouth for an extra realistic experience for the children. This funny toy is suitable for children who are 12 months and up, and since it is a toy for small kids, it is recommended to be used under adult supervision. The product has a sturdy rocker structure made from wood for additional durability over the years. The child can squeeze one of the horse’s ears to hear sounds and music from it. This is an ideal toy for strengthening the children’s muscles and improving their rapidly developing physical skills. Designed with luxurious material, flowing hair and a fuzzy tail, these toy horse for girls will be just loved by the little ones. Its cushioned saddle has a hand-stitched design and offers safety during the kid’s play, thanks to the reliable harness and stirrups for better sporting. 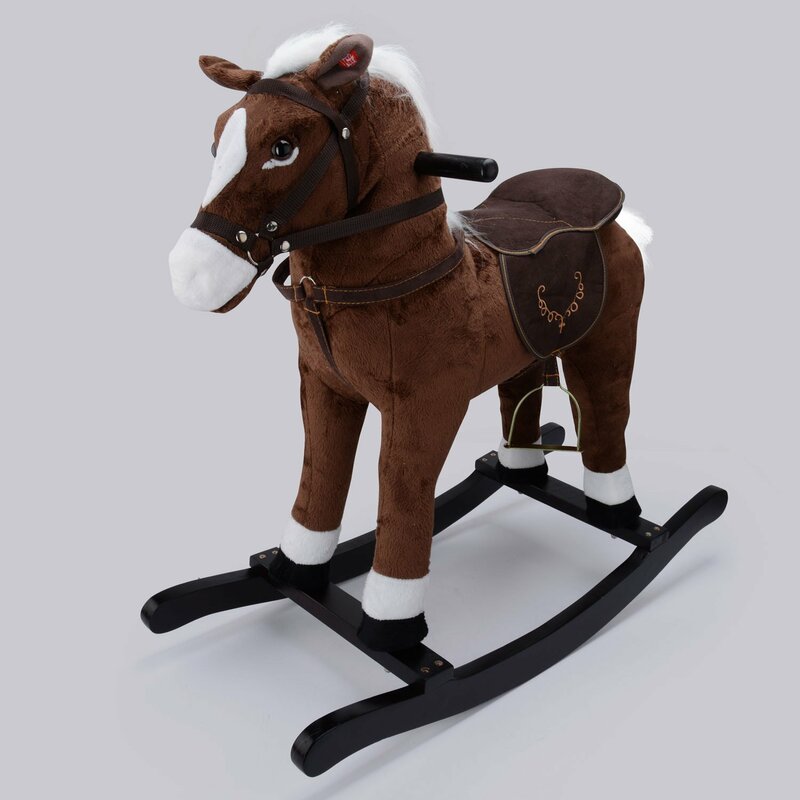 For a realistic appearance, the toy has stunning glass eyes and the child can press the horse’s ears to produce whinnying or galloping sounds during the riding. The body has a foamed body for a comfortable playing experience. The durable wood made frame has five parts for an easy and fast set-up by the adults, making it perfect for part play games. This is another great toy with realistic sound components and by squeezing the ears of the pony, there are created various genuine horse sounds. The toy works with batteries, to power the audio devices. The two wood handles provide an additional support making it an ideal option for a smaller child. 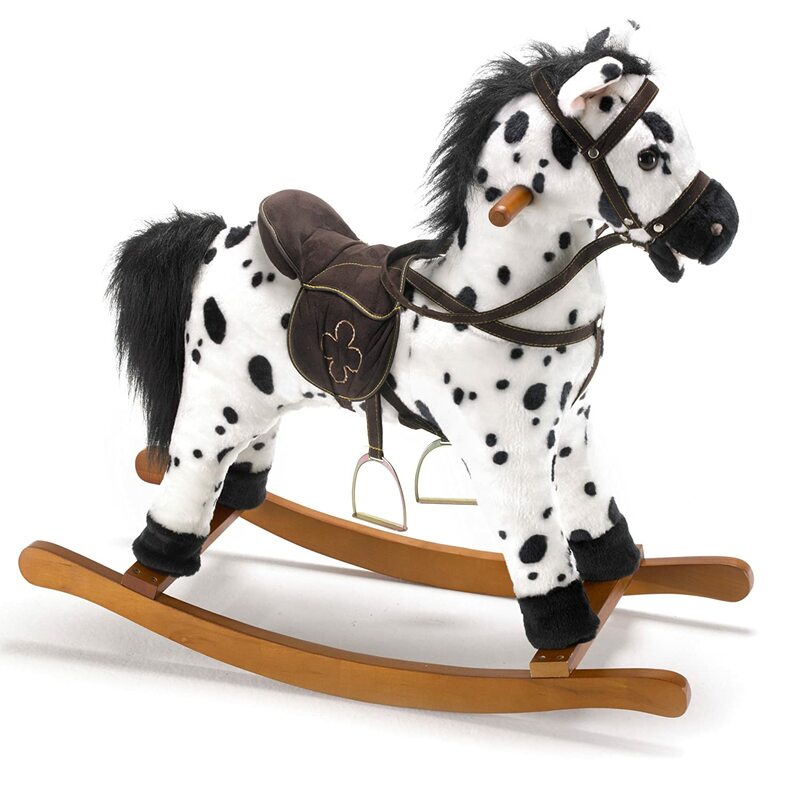 This rocking horse is created from high-quality plushy materials and has a saddle attached at a height of approximately 46 cm. The rear height is appropriate for children over 3 years, but it has to be used with caution, since a choking threat is present due to the smaller parts included in the toy’s frame. Press the horse’s ear to induce clicked-clock or neighing sounds. The toy is made from expanded foamy materials with a pretty plushy cover. The smooth and comfortable saddle is completed by an ergonomically design inserted into it. Its eye-catching light wood made structure has a couple of incorporated footrests that are simple set up along with the rest of the toy. Just connect the hooves to the rest of the structure and easily screw its handles. Give kids the toy of a lifetime and an ideal Xmas present for small children, no matter their preferences. Along with its luxurious hair, comfortable play and furry tail, these features make the little neighing horse a welcome boost to a game room and ideal for all role-play games. This is an awesome equine toy that can move without extra power. You maybe liked to or wanted to ride real moving horses when you were a child. It is a dream that most children enjoy to do. Anyone can play with UFREE Pony, even when you are not a kid any longer. UFREE Pony has an overall look similar to actual horses and it has top materials and leather to create a realistic image, protecting the durable metal structure and complex internal system. 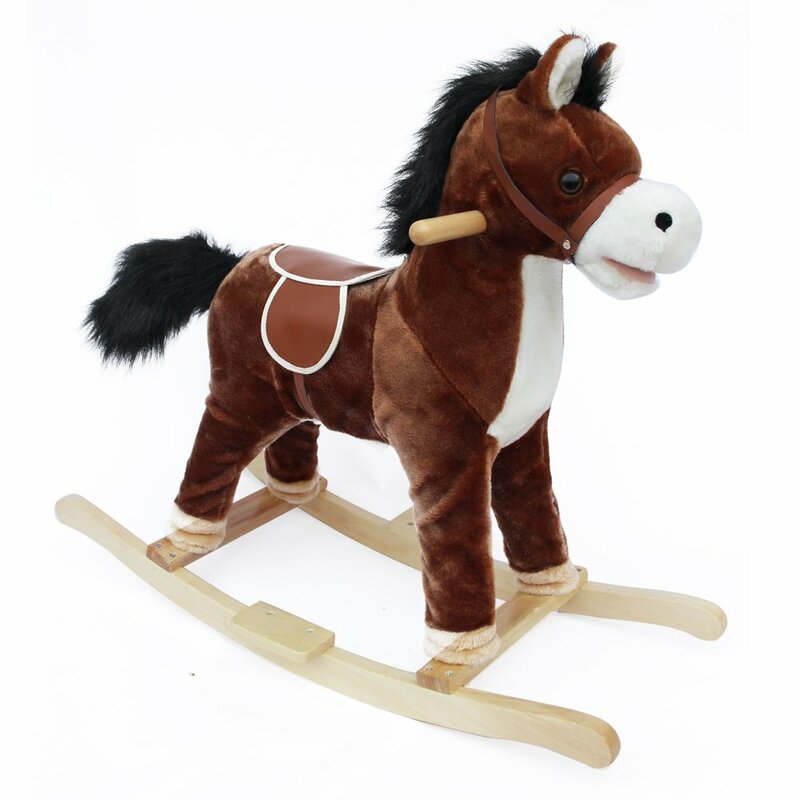 It is a combination of soft plushy toy, rocking horse and moving horse. The greatest advantage is that it is not needed a battery or other type of energy to power the toy. The rocking horse will move when the child’s move forward pushing the saddle constantly, just like the activity of riding a real horse. With its expanding froth interior, smooth padded seat and wood made footrests; the toy is comfortable for kids to ride. The resilient footrests are pre-attached to the structure and allow children to rock forward and backward with almost no effort. Screws are offered to easily attach the kids’ sporting horse to a pre-assembled frame. This toy can be put in various locations as your house, lawn, recreational areas, footpath on any smooth floor. 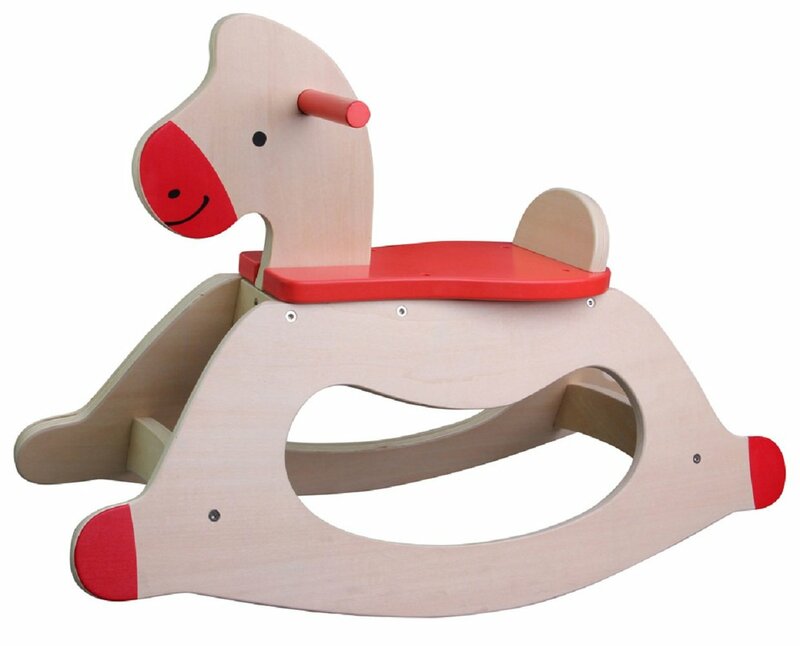 Lelin Wooden Rocking Horse also can act as the theme recreation area for the littlest of children. The kids can play rocking horse game together for extra fun. Furthermore, it is an excellent device for the growing children, developing their muscles in the lower part of their body, so it is recommended even from the earliest ages.